This page contains CAD Software and Resources. 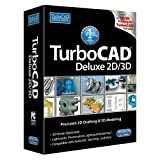 Powerful 2D/3D CAD Software -- TurboCAD Deluxe is ready-to-use 2D drafting, 3D modeling, and rendering software. Quickly render designs for powerful presentation, share with AutoCAD and more. Complete 2D/3D Design Tools for drafting, modeling, modifying, dimensioning and annotation. Easy 2D Drafting and Editing including New Centerline and Center Mark Tools. Surface Modeling Tools like 2D/3D Booleans, extrude, revolve, sweeps, & more. The product images shown are for illustration purposes only and may not be an exact representation of the product. This Stand-Alone Permanent Version is for personal use only, and can not be used for an upgrade. Permanent version means it will never expire and does NOT require a subscription to continue using. Works on all 32 and 64 bit windows 10, 8, 7, Vista, XP and 2000. No Watermarks. Create, modify, render, and navigate 3D objects with AutoCAD 2007. AutoCAD is a software application for 2D and 3D designs and drafting. AutoCAD 2007 has come up with a new panel which has included many design tools this panel is known as dashboard. Dashboard includes many tools which are useful for creating and editing different designs. Creating a pyramid shaped object was never easy before the release of 2007 version. AutoCAD 2007 gives you the luxury to make such complex object with ease all you need to do is to give a newly added PYRAMID command. With this command making pyramid is as easy as creating a polygon. All you need to do is to provide some basic characteristics of pyramid like number sides top and base radius as well as height. Creating a helical shape is hell of a job and all the engineers as well as designers know how difficult it is to tackle with these objects. 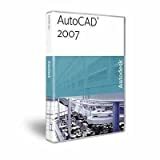 AutoCAD 2007 is there again to assist you and can save your day. Helical shapes can be created with ease by just indicating some basic properties of helix like height, number of turns top/base radii etc. AutoCAD 2007 is giving you to look all around in 360 degrees by adding a new 3DSWIVEL command. With the block authoring tools, you can add dynamic behavior to existing block libraries simplifying use of block libraries and reducing time spent manipulating blocks in a drawing. The software makes it easy to change any table property and creates table data with a variety of formatting options. The AutoCAD 2007 Visual Styles tools relate to all elements associated with the AutoCAD 3D display. 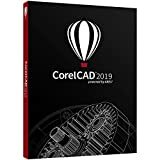 5 Full 2D & 3D CAD Software Programs: This bundle was created for all designers and builders in mind. There is software for beginners and pros & serves as an alternative to expensive applications like AutoCAD. You will receive NO BOX but 2 DVDs in a custom sleeve. 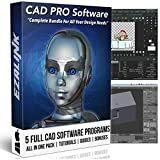 This 2D & 3D Beginner to Professional CAD Software Bundle contains the 5 top rated CAD design, draw, and build programs to meet all your animation, design, and architectural needs. This 2 DVD set if perfect if you're looking for an all-in-one CAD solution. Not only will you have all the software, guides, and models you need to get started, you also have a full video course with 137 tutorials to take you from beginner to master of your craft. All together there is almost 10Gb of content. 1.) Blender Professional 3D CAD Software (includes full video training course & super models pack): similar to Auto-CAD and if you utilize the multiple tools in this bundle you can exceed it's limitations. Rendering: Create jaw-dropping renders with a high-end production path tracer. Modeling: Sculpting, retopology, modeling, curves. Your abilities are limitless with Blender's super extensive toolset. Animation: Designed for animation, this CAD software is used for award-winning shorts and feature films. VFX: Easily add visual effects to your creations. 2.) Full Video Course (2nd DVD): With 137 videos, this course is guaranteed to have you comfortable with your new software. You'll be making professional renders & animations within days! 3.) Super Models Pack includes over 1,000 models you can use to make something great right away. 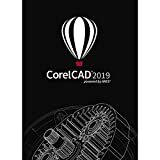 You'll need them to build anything and this bundle includes more than ANY other CAD software will include. Other 4 CAD Software - Fully featured with user manuals. Looking for an effective way to convert PDF files into full editable CAD drawings? Print2CAD converts all kind of PDF (vector and raster based) using OCR for text and CAD element recognition. Perfect for all types of projects, including: architectural, mechanical, electrical, furniture, and DIY plans. With our tutorials, free technical support, and active forum, you'll always know a helping hand is close by. 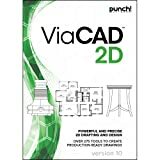 World-class performance at an incredible value, ViaCAD 2D is the perfect choice for producing anything from simple sketches to production ready schematics, diagrams, or drawings. Start designing in a snap with the best bang-for-your-buck 2D CAD program available. ViaCAD 2D is packed with unique tools to help you create precision drawings, layouts, schematics, and plans easily. Start with a sketch or draw from scratch; a comprehensive set of tools let you edit, modify, and add details to your drawing. Drawing precisely is easy with ViaCAD. The LogiCursor(TM) guides your cursor to potential point selections in the drawing; anticipating your next action. Editing is just as easy with the Gripper; adding drag and drop capabilities to simple and more complex edits. Customizable grids add another level of ease to drawing and editing. The grids provide precision drag and drop in rectangular, polar (circular), and isometric layouts. Create precision drawings with tools that you would expect and some that will surprise you. Each drawing tool has multiple options for creating objects in your designs. Powerful tools such as rectangular and polar (circular) arrays help you create more precise and complicated patterns. A complete toolkit of trimming options is available to help you make modifications. The included ‘Region Trim' will do in one click, what most programs take dozens of steps to achieve. Drawing tools provide multiple methods for creating. Trimming tools include Trim, Extend, and Break. ViaCAD 2D is a robust design documentation tool with over 20 customizable dimension styles including industry dimension formats. Import a 3D model and the Auto 3D to 2D feature will create multiple 2D views to document 3D models created in other software. Create scaled building drawings and room layouts with ViaCAD. Custom walls are drawn using thickness for different components allowing you to present the real-world wall sizes and what materials make up the walls. Insert intelligent doors and windows with ‘drag and drop' placement. Instant architectural detailing with automatic dimensioning or customize your own labels for doors and windows with callouts. ViaCAD products are designed to grow with our users. You can dip your toe or jump right in, our suite of computer aided design programs will always be right there along with you. With our tutorials, free technical support, and active forum, you'll always know a helping hand is close by. AutoCAD 2016 .DWG/.DXF Compatibility & More - DesignCAD is able to import/export AutoCAD files from R12 to 2016 with support for AutoCAD layouts, Paper Space, layers, line styles, views, and blocks in both DXF and DWG file formats. DesignCAD is an easy-to-learn and use 2D CAD program. Access hundreds of 2D drafting and design tools through an intuitive interface to quickly and easily produce accurately scaled, precision designs. It's perfect for architectural drawings, engineering layouts, and more. Architectural Drawings – Draw professional-quality floorplans, elevations, and plot plans with ease. Engineering Layouts – Double-precision accuracy allows the highest degree of tolerance and design control. Shop Drawings – Entering specific values for dimensions, diameter and radius allows you to draw accurate mechanical parts. Home Projects – Create do-it-yourself landscaping designs and indoor/outdoor home improvements. Other CAD Needs – Create electronic schematics, plats, mapping, flow charts and more. DesignCAD offers simple operations, intuitive drawing tools, editing commands, and extensive online help to make it easy for you to quickly get started using CAD. Drawing shortcuts, horizontal and vertical cursor mode, and cursor step size enable you to make faster and more accurate drawings. Shortcut keys and dynamic toolbars can make commonly used commands a snap! You can draw virtually anything with DesignCAD’s sophisticated 2D drawing and editing features, advanced geometric construction capability, complete layer management, extensive text manipulation functions, dimensioning and annotation features. Punch! Home and Landscape Design Premium v20 is the ideal program for the serious DIY person who wants comprehensive tools and capabilities to develop home plans and design interior rooms as well as landscaping options. This premium home and landscape design software suite combines all the materials, tools, textures, furnishings, and accessories that help make home design and landscaping projects a stunning reality. Use Home & Landscape Design Premium v20 to plan a home update or design entire homes; kitchen renovations, bathroom renovations, basement remodels, and landscape; create outdoor living spaces, decks, patios, pools, and get fast results for serious DIY home projects.